Latest Wedding Turban made form Maroon and Golden color. 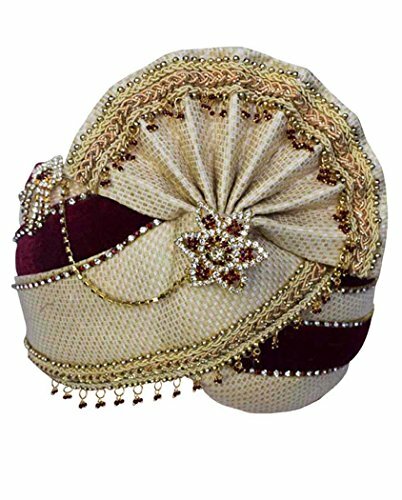 This turban is made for weddings and other special festive occasions. Handcrafted by the turban makers of Rajasthan, India. Dryclean only. Traditional Groom Turban with Zari work and brooch . Handcrafted by the turban makers of Rajasthan, India. Maroon-Golden color. Dryclean only. Turban made for weddings and other special festive occasions. If you have any questions about this product by INMONARCH, contact us by completing and submitting the form below. If you are looking for a specif part number, please include it with your message.